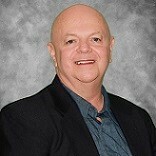 William McLeod is a Licensed Professional Counselor and a National Certified Addiction Counselor who joined the Georgia Behavioral Health Professionals group in August 2018. William specializes in primarily working with adults but has experience in working with young adults, geriatrics, and adolescents. His therapeutic methodology is tailored according to the client's needs with a trauma informed care approach. William primarily employs Cognitive-Behavioral Therapy, Dialectical Behavioral Therapy, Reality Therapy, Motivational Interviewing, and is able to integrate faith psychotherapy based on the client's invitation. William considers himself a practical and collaborative therapist. His treatment approach integrates insight, hope, humor, and compassion for clients as they work to explore how to have a happier and healthier quality of life. Clients will be provided with a safe environment to learn and work to uncover strengths, skills, and strategies to enhance their satisfaction in life. William has a passion for helping those with behavioral health struggles including but not limited to substance abuse disorders, anxiety, mood disorders, grief, trauma, and anger. He received his Bachelor's degree from Montclair State College. William furthered his education and earned his Master's degree in Clinical Psychology. William's areas of expertise includes: working with individuals with substance uses disorders-addictive diseases, individuals with a wide range of mental health struggles and those impacted by behavioral health issues. William has a perceptive and understanding of people in recovery from mental health and substance abuse disorders or those who have been affected by these. He began his tenure as a volunteer for a community based residential program for substance abuse and mental health issues eventually leading to a professional career as a certified addiction counselor. William continued to work primarily as an addiction counselor and related areas and then furthered his education and expanded his skills to include addressing needs of people who struggle with mental health issues. He has been working as a primary therapist in both residential and outpatient settings. William offers years of varied clinical experience working with diverse populations. He is looking forward to bringing his enthusiasm for performing well and helping others to reach their potential at Georgia Behavioral Health Professionals.